Slow Play can be Eliminated! I had a question from one of my students regarding slow play. She said she gets frustrated when waiting for her playing partners to hit and wanted to know how to get them to play faster without hurting their feelings. I thought it was a great question and I wanted to share my answer with all. It just so happens I am known as a fast player in my PGA Section. Not long ago, in an event I was competing, one of my fellow competitors was fast like me, and the other was a little slower. At the completion of the round, the slower player exclaimed "I felt like I was sprinting to keep up with you guys today"! I laughed and informed him I go by the theory of "hit it and get it". It is not we were rude to the third player, we just went about our business in a brisk manner. Back to the answer regarding slow play, I find if I drive the cart I have some control of the pace of play. I try to set the example for a quicker pace. Here are a few more suggestions which might help all golfers play faster. Here is a picture of my favorite headcover. 1. Announce on the first tee "let's play ready golf today", which simply means whomever gets to their shot or the next tee first goes ahead and tees off. Disregard honors. 2. When approaching the green of the hole your are playing, always park the cart on the cart path either to the side of the green of behind the green. In other words, do not park the cart in a place which you have to walk back to the cart toward the fairway and hold up the group behind you. 3. Write the scores down at the tee of the next hole while the others are hitting, not when you are still sitting in the cart by the green of the hole you just played. 4. If you have to take a practice swing, just make it one swing, not two or more. 5. Standing over the ball too long really slows play down. You should not have a grocery list of swing thoughts before you swing. Going through this list causes "paralysis by analysis". 6. When you arrive at the next tee, have your glove on and ball and tee in hand. Do not wait until it's your turn to play and realize you are not ready. 7. While the others in the group are hitting is the time to do all your pre-swing work. This includes figuring yardage, deciding club choice or reading the green. Does it seem that all these new devices such as GPS units and range finders are slowing down the pace of play? 8. If you are having trouble getting your headcover back on your driver, then do not fiddle with it. Get back in the cart and put it on while driving to the next shot (my personal pet peeve). 9. All players should watch each other's shots so balls which might be in deep rough, trees or hazards can be located quickly. I am not advocating for golfers to sprint around the course mind you...just be ready to play when it's their turn! This rule especially applies to tournament play. Your pace should be the same for a casual round as it is for a tournament round. If everyone would abide by these suggestions, slow play will be eliminated. Why Can't I Take it From the Range to the Course? I get this question quite a bit, and the simple answer is "practice like you play". 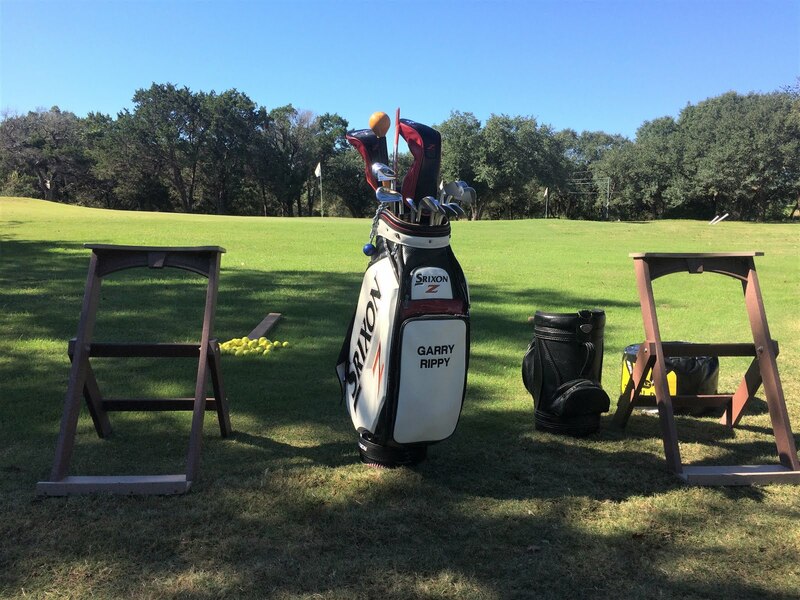 When practicing, I think it is safe to say that most golfers are more into quantity and not the quality of their sessions. When you have the oversize bucket of practice balls before you, it is very easy just to pour out the entire container and start hitting. When using this method of practice, I find there is no concern for target or consequences. This is not what I call "practice" but more of a waste of valuable time. Ben Hogan once said he wished there were more hours in the day so he could practice more. He felt if he missed one day of practice it would take him several more to make up for it. I can promise you he never wasted a shot while practicing. In the mid 1980's I was an assistant professional at Shady Oaks Country Club in Fort Worth, and Mr. Hogan was there every day practicing. He would hits balls for hours at a time to a forecaddie. The forecaddie was his target and he knew the exact yardage he hit every shot. Now, we all do not have this amount of time to practice, nor are we headed to the PGA TOUR, but we need to utilize the time to our best interest. I recommend you take out one ball at a time and focus on each shot. This is how you do it on the course, right? I find most golfers just hit to the big expanse of the range and do not get precise enough. Pick your target, use your swing thought, and then hit the shot. Watch the shot to completion even if you mis-hit it. If you hit it great, you want to enjoy it and put that feel in your memory bank. If you mis-hit it, then you need to be aware of your balance and tempo. Usually these are the causes of bad shots. If you are working on a particular part of your swing, use a mid iron to perfect the move. 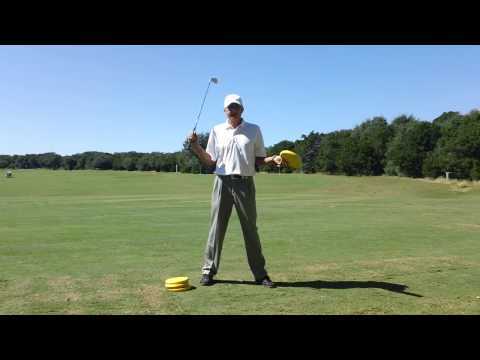 I would not stand there with a driver when trying to incorporate changes in your swing. If you are working on a particular swing thought, then focus on this thought and stop trying 4-5 other things. If your mind gets too busy you will start hitting balls too fast and then you are not learning. Once you feel you are hitting the ball well, try playing a round of golf on the practice tee. Imagine you are playing your home course and start with your tee shot on #1. Just hit each shot you think you would hit for each full shot and play all 18 holes. For example, if #3 is a par 3, then tee up a ball and use the club you would normally use. Pick out a target at the correct yardage and imagine the green with surrounding bunkers or water. In other words, set up some consequences for the shot. If you do this, you will really start focusing better on each ball, and not just banging balls. If #4 is a long par 5 and you hook your drive, then practice the recovery shot you would be hitting on the course. How many times have you practiced those little punch shots you probably hit several times a round? Your practice sessions should include some short game work and putting as well. In fact, if you perfect your short game, your scores will improve drastically. Make practice fun by employing some games to keep practice from becoming boring. See how many 3 footers you can make in a row. Go to the chipping area and pick a hole and chip to it until you hole one out. Challange yourself a bit and your confidence will grow. The bottom line is you need to plan each practice session. Determine how much time you have and designate time for each part of the game. If you know you are going to practice three days in a week, maybe you spend one day on full swing and the other two are for short game and trouble shots. Mix it up a little. You will be a much more rounded golfer by practicing your weaknesses. If the 7 iron is your favorite club, it is not necessary to stand there and hit fifty 7 iron shots in a row. Remember the five P's...Proper Practice Prevents Poor Performance!